This is old version Plex 4.30.1.170 apk for Android, you can install it if you want to downgrade or install old app. 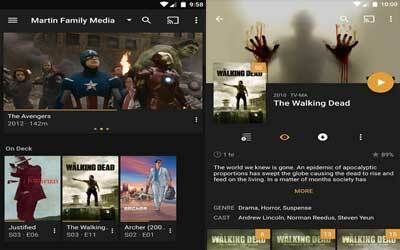 It is top Media & Video apps from Plex, Inc..
Support for extras on TV show’s, seasons and episodes. [Android TV] Improve TV season UI. Fix crash trying to open an item that no longer exists in server. Fix issue where mini-player could be left visible after closing post-play screen. [Android TV] Detect reachable servers even when the device is offline. [Android TV] Fix crash stopping video playback from controller device.